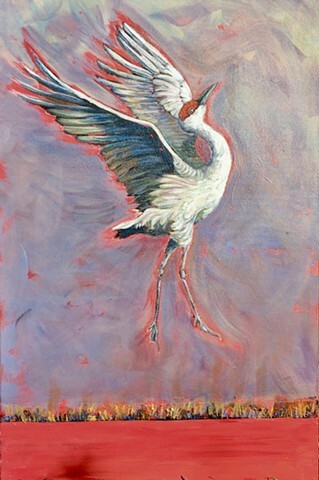 J A N E T B E R R I E N - Sandhill Crane 1 "Thanks to the farmers, thanks to the conservationists, thanks for the habitat." "Thanks to the farmers, thanks to the conservationists, thanks for the habitat." Exuberant, dancing Sandhill Crane, celebrating the winter habitat in Lodi where the farmers and conservationists have collaborated on behalf of these magnificent birds.